Quote Of The Day: "The only time a women is helpless is when her nail varnish is drying"
Today i thought i would share a bit of a different post with you all, which I'm calling "NOTW: Nail Of The Week" instead of the usual "NOTD: Nail Of The Day". Being a nail technician means i am a lover of anything to do with nails, have an unhealthy obsession with nail varnishes and sometimes have different colours or designs on my nails where Ive tested stuff out on them. Before applying any nail varnish to your nails though it is highly recommended that you apply a clear base coat (or if you have no base coat, apply a thin layer of clear nail varnish), this will protect your nails from dis-colouring when using coloured nail varnish on your nails. 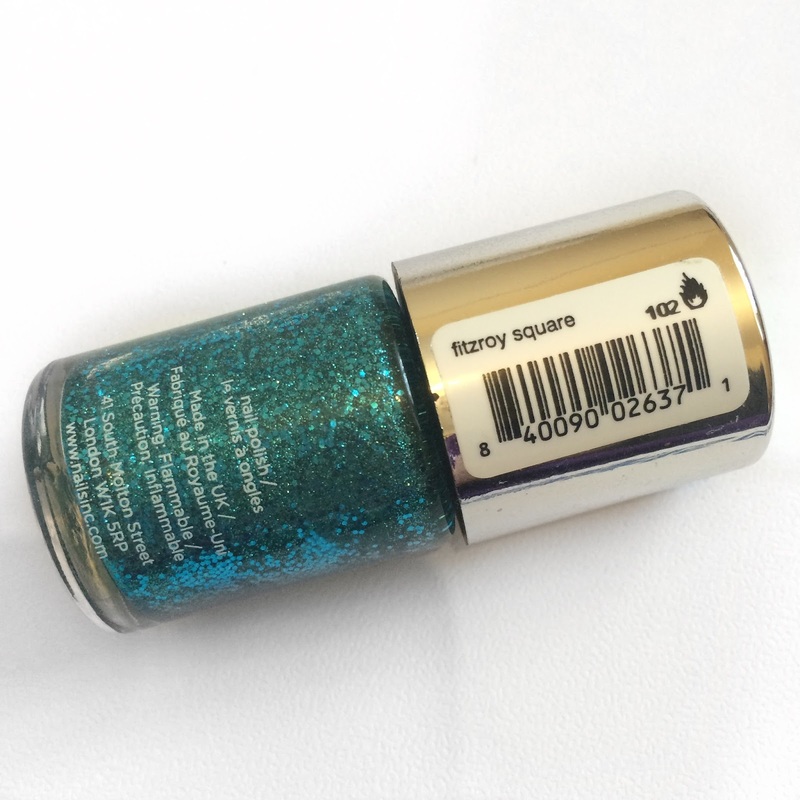 The NOTW what I'm sharing with you today is a gorgeous blue glitter colour by Nails Inc, this particular one is called "fitzroy square", with glitter nail varnishes i always suggest applying about 3 coats for you to get the full effect of it, but letting each layer dry for about roughly 1 minute in between applying layers. 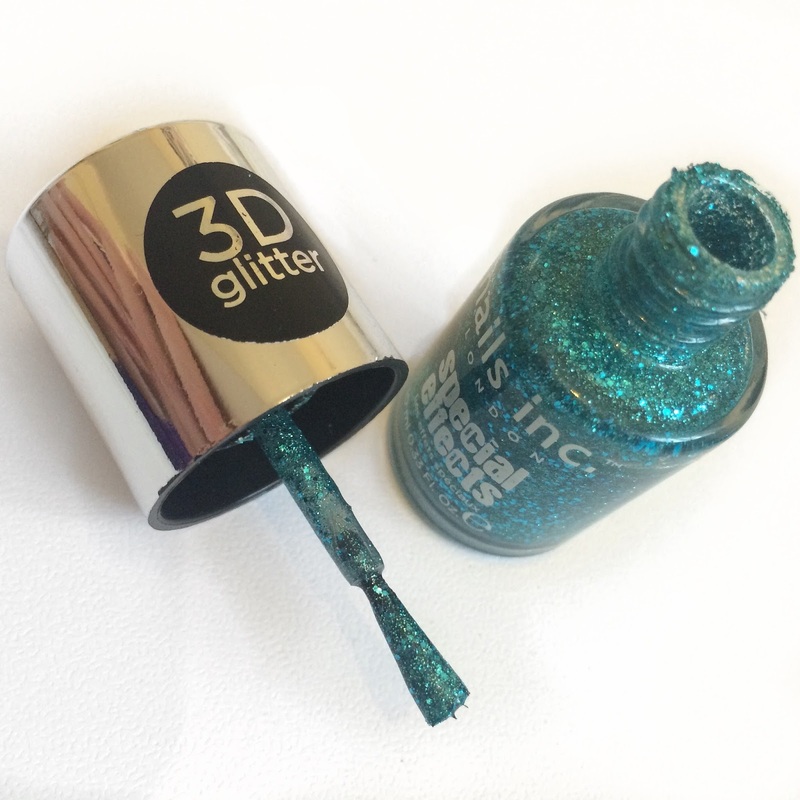 This particular one is a special effects 3D glitter, it has bits of both fine and chunky glitter mixed into it, and applies really nicely. Once fully dried to add to that extra sparkly effect a clear top coat can be applied over the top, i just used a top coat by Ciate that i got free in Marie Claire magazine otherwise i would have used my OPI top coat what i normally use. I've never been one for full on glitter nails, i usually prefer just to have it on my accent nail with my others nails a different colour, but once this was on i really liked it, it stayed on without chipping for about 3-4 days, as soon as i get a slight chip on my nail varnish i have to remove it all (that's the OCD part in me haha). The only thing i don't like about glitter nail varnish is that its a downright nightmare to take off!. 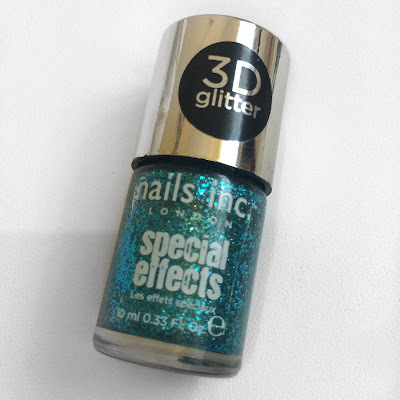 I purchased this from the Beauty Outlet in Bridgend Designer Outlet, I'm pretty sure it cost me £3.99 but cant be 100% sure on that as i did buy it quite a while ago now. So these NOTW posts I'm thinking to do this as a regular thing, seeing as every week i do have a different nail colour, the only time i don't is when i do acrylic nails on myself, but at the moment I've decided to give my own nails a break from these as i am kind of preferring just my natural nails for now. 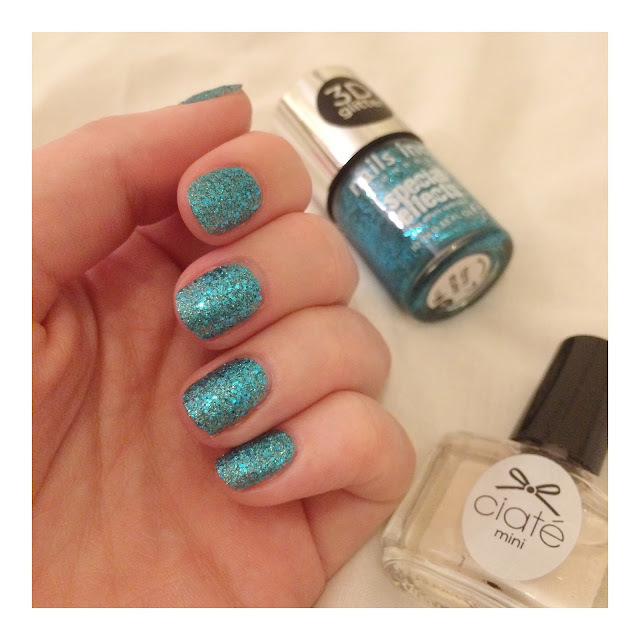 What are your thoughts on glitter nail varnishes? Are there any particular ones that you would recommend me to try?